Australians love to shop online but what inspires a quick checkout and what drives consumers to walk away from their shopping carts? Brands everywhere are looking for ways to reduce cart abandonment by customers, but with more than a quarter of Australian shoppers abandoning their carts at least half the time, it's a tough nut to crack. We asked 1,000 Australian consumers about their use of online shopping; and what their favourite brands do to make them click 'purchase'. 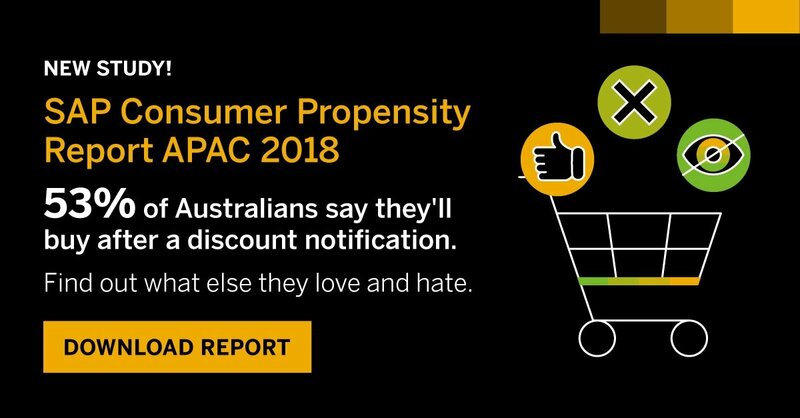 Download your copy of the SAP Consumer Propensity Report Australia 2018.